May There Always be Sunshine by Charlotte Diamond – What’s a week of camping without songs! This is a beautiful song by Charlotte Diamond that is sung in multiple languages. R loves listening to it. I’ve been playing this song to her since she was only a few months old. It has a wonderful calming effect on her, and on me, too! 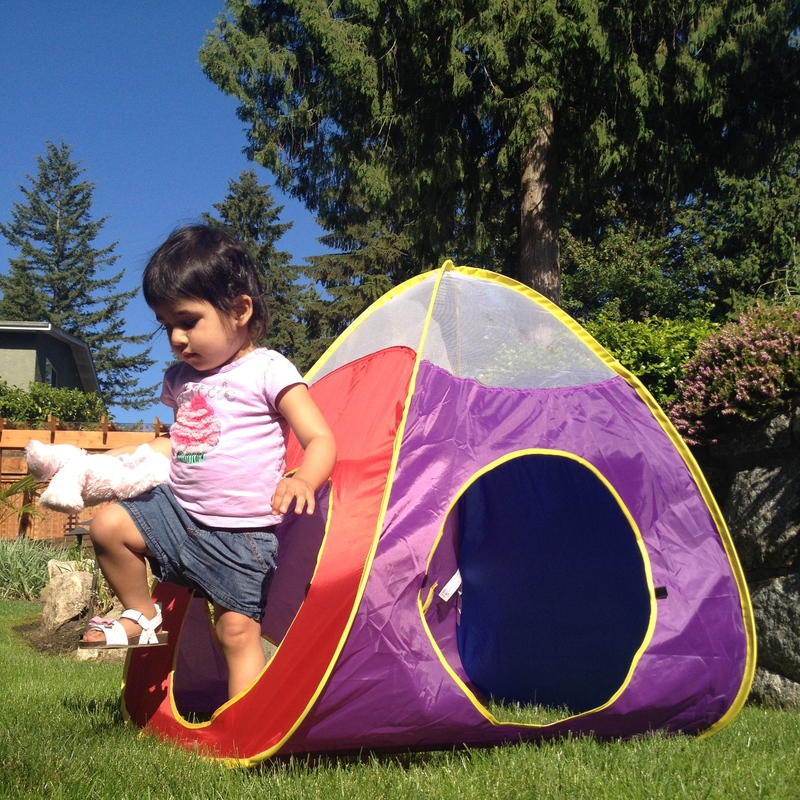 We had snacks out in R’s tent today and then she had fun playing in it with her teddy. We sat inside and listened to the birds chirping. We watched a squirrel playing in the tree branches above our house while looking through the top of the tent and pretended to put her teddy to sleep in the tent by tucking it under R’s hat. a. Have the child help you set up a camp ground complete with a fake campfire, benches, tent, and pond. Have the child work on his/her labelling skills and label (using pictures and/or words) the different areas in the camp ground. b. Have the child wash the dishes after finishing eating using a bucket filled with soapy water and a dish cloth. This was a very simple activity to put together, but it kept R busy for a solid 30 mins! It’s definitely something we will continue to do throughout the summer! I set up two buckets a few feet apart, one with water and one without. I gave her a cup with two holes in the bottom so that I could encourage her to move more quickly and had her transfer water from the filled bucket to the empty bucket. Sometimes water came back to the filled bucket, but mostly it was transferred over. a. Put some obstacles in the way to climb over or under so that it is more of a challenge to transfer the water. b. 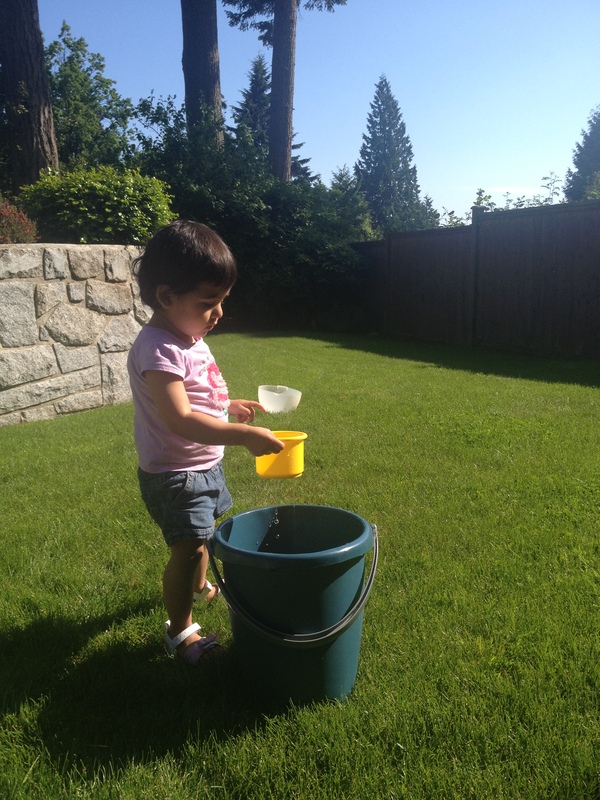 Have multiple children race to transfer the water from one bucket to the other or use a timer to encourage the child to beat his/her best score.